It would probably be more surprising if there wasn’t a handful of shockers within the nominations, which always offer many unexpected inclusions and omissions. Check out 10 in particular below. A full list of nominations is available here. 2. Even though “The Imitation Game” was reportedly eligible, it got completely snubbed. The Weinstein Company has a history of finding a way for films to sneak past the Spirit Awards’ pesky rules, from “The Artist” (which seemed too French) to “Silver Linings Playbook” (which seemed too expensive). It appeared that they were about to do it again this year with “The Imitation Game,” which was reported as being deemed eligible. But that was not the case. The Alan Turing biopic — touted as was one of the Oscars’ surest things — was snubbed across the board, including for its seemingly Oscar-bound actors Benedict Cumberbatch and Keira Knightley (the latter of whom was also snubbed for “Begin Again”). 3. “Inherent Vice” and “Foxcatcher” weren’t eligible, but they gave them a special prize anyway. Del Toro, Katherine Waterston, Michael Kenneth Williams, Owen Wilson and Reese Witherspoon all win). Sure guarantees a lot of famous folks will be going up on that stage (not that they aren’t deserving). Definitely one of the biggest jaw droppers was the two major nods that came “Kumiko, The Treasure Hunter”‘s way. The film — which premiered at Sundance but has yet to make its way to theaters — found mentions for both Best Director (Zellner) and Best Female Lead (Kikuchi). Zellner got in over Ira Sachs (“Love is Strange”) and JC Chandor (“A Most Violent Year”), while Kikuchi managed to beat out the likes of Keira Knightley (“Begin Again”), Amy Adams (“Big Eyes”), Kristen Wiig (“The Skeleton Twins”) and Reese Witherspoon (“Wild”). Surprising or not, it’s definitely nice the Spirits made some room for the little guys. 5. Andre Benjamin shocked in a very crowded field for best male lead. 6. Miles Teller, Oscar Isaac, Benedict Cumberbatch, Bill Hader and Ellar Coltrane all missed out as a result. That’s right. These five men — who could have easily made up the category on their own — were not nominated. All but one of them (Cumberbatch) were nominated at the Gotham Awards, meaning Michael Keaton is the only person to get nominations for both Best Actor at the Gothams and Best Male Lead at the Spirits. 7. 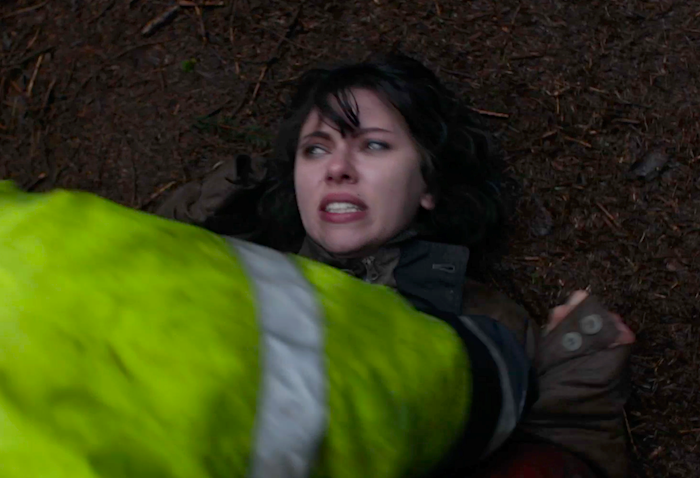 “Under The Skin” is the lone English language film nominated for Best International Film. Though Jonathan Glazer’s “Under The Skin” competed at the Gothams (getting nominations for both Best Film and Best Actress), it was only eligible for Best International Film here, and it indeed made the cut. But it was the only English language film to do so. Which meant “The Theory of Everything” and “Mr. Turner” — despite there being 6 nominees — were both left out in favor of Ruben Östlund’s “Force Majeure,” Xavier Dolan’s “Mommy,” Andrey Zvyagintsev’s “Leviathan,” Pawel Pawlikowski’s “Ida” and — most unexpectedly — Lav Diaz’s “Norte, the End of History.” Notably all of those films are eligible at the Oscars, too. 8. Andrea Suarez Paz got a Best Supporting Female nomination. Patricia Arquette (“Boyhood”), Emma Stone (“Birdman”), Jessica Chastain (“A Most Violent Year”) and Carmen Ejiogo (“Selma”) helped make the Best Supporting Female category very Oscar-friendly this year, but there was one major exception: Andrea Suarez Paz. Few are likely to have even heard of “Stand Clear of the Closing Doors,” the film Paz was nominated for. Directed by Sam Fleischner, the film premiered at the Karlovy Vary Film Festival in July of 2013, and was absolutely the most under-the-radar film to get an acting nomination today. 8. “Nightcrawler” got five nominations, but not for Rene Russo. Dan Gilroy’s directorial debut “Nightcrawler” was all over the Spirits, with nominations for Best First Feature, Best Lead Actor (Jake Gyllenhaal), Best Supporting Male (Riz Ahmed). Gilroy himself even managed three nominations alone, including for writing and editing the film. But unfortunately his wife won’t get to accompany him as a nominee. Rene Russo was an absolute highlight of “Nightcrawler,” giving perhaps the best performance of her career. But while Andrea Suarez Paz made it, Russo did not. 9. John Lithgow and Alfred Molina both make it in. Ira Sachs’ “Love is Strange” had a very lovely day, becoming Sachs’s second straight film to get a Best Feature nomination at the Spirits. 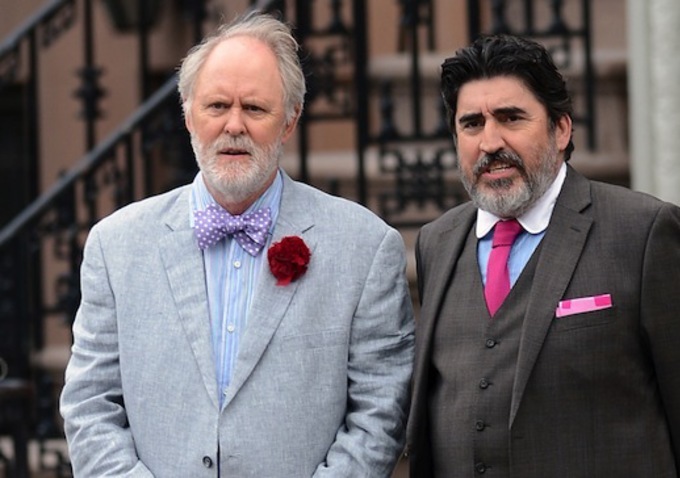 And though its questionable categorization given they are both lead roles, “Love” stars John Lithgow and Alfred Molina gave the film a deserving duo of acting nominations that hopefully gets more people talking about their very worthy work this season. 10. “Big Eyes” for best screenplay?! There wasn’t too much to genuinely complain about with the nominations. There were undeserving snubs, but often in favor of deserving nominees. 2014 simply was a crowded field when it came to worthy indies. 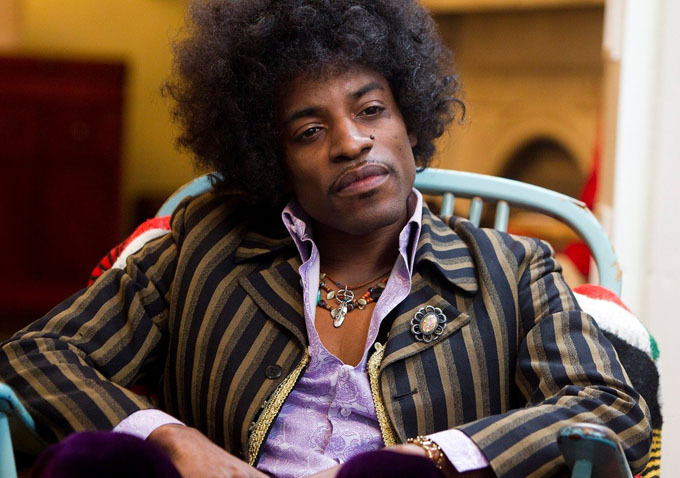 But what’s up with the Best Screenplay nomination for “Big Eyes”? Did voters really feel the generally flat script from Scott Alexander & Larry Karaszewski was better than, say, “The Skeleton Twins”? Or “Whiplash”? Or — most shockingly — “Birdman” and “Boyhood”? It’s sincerely baffling. But at least it was one of the only things about today’s nominations that can fall into that category.